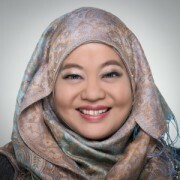 "Dayangku has been with RSPO since December 2012 starting off as an Executive Assistant to the CEO Datuk Darrel Webber. In July 2014, Dayangku wanted to expand her skills and widen her experience by joining the membership division and becoming the membership executive of RSPO. She spent a good three years in the membership division until she was promoted to Senior Assurance Executive in August 2017, where she handles P&C Certifications, P&C Public Announcement, New Planting Procedures (NPP), National Intepretation (NI) and Market Data analysis through monthly reporting. She also handles workshops for Growers and Certification Bodies on issues pertaining to RSPO.